In times when the internet is such a big part of our lives, the first place we look when we want to look up information about people, brands and businesses in all probability is the web. Online reputation management (ORM) is critical especially when you are in the public eye and your footprint on the web matters as far as the economics of your business goes. This is an important takeaway from Pepsi, a brand which has very strong presence on popular social media networks like Facebook and Twitter. Without a rigid approach to social media, the brand which uses an open ended philosophy to ORM believes in getting out there and making a difference. In 2010, the company said that 70% of Pepsico’s 300,000 employees were on Facebook, with an average of 130 friends and over 635,000 followers on Twitter. Many of us have spent hours on the phone trying to get connected to customer care and have ended up feeling frustrated for the most part. This is where the power of Tweets comes in to the picture, as Tweets work faster than calling up the customer care these days. In fact a recent study done also highlighted that @Airtel_Presence has been the most responsive telecom brand on Twitter. Co-creation is a strategy that helps a company make customers feel more involved with the product or service delivered. Mountain Dew, a PepsiCo has an online “Dew Labs” community of thousands of heavy consumers. The “Dewmocracy” steers the brand by approving logos and designing limited-release flavors. It approved citrus-flavored White Out in 2010, which then sold 12 million cases, a record of sorts. Airtel, a pioneer in using social media as a form of creating greater connect between brand and customer has online presence across popular social networking sites –Twitter, Facebook, LinkedIn, Google+. Add to this over 114 online consumer forums such as National Consumer Helpline, Grahak Sewa, CORE, Consumer Court and other privately managed consumer forums such as consumer complaints.in, Indiaconsumerforum.org, etc. The brand also has a “need help” form on the website, which allows customers to submit any requests/queries/concerns. Social vending is a something worth trying if you want to increase a brands’ reach and build its online presence. In April 2011, Pepsi announced a new line of social media-enabled vending machines with the objective of taking customers “beyond the confines of their own devices”. The machines allowed customers to connect to social networks from the vending machine itself, and send gifts to friends to be redeemed at any of the machines. Everything is hunky dory until there is a negative buzz about the brand, which is perhaps the most testing time for ORM. However, removing negative content doesn’t resolve the issue. In fact it does more damage than good. As a policy, Airtel does not delete negative posts or try to get such content removed. If there is an error on their part, they apologize to the concerned/affected customers and quickly work towards resolving the issue. 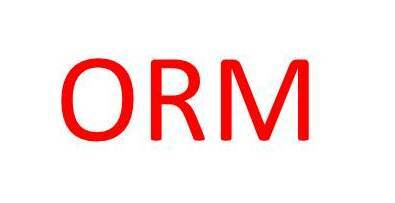 Obviously ORM needs to be implemented by a team of competent professionals who are equipped with the necessary knowledge and tools. Analytics also play an important role in assessing the impact of social media efforts and help companies’ fine tune their ORM efforts. There is no “one size fits all” approach to ORM but hopefully these tips will help you find what works best for you. The idea is to set people at the helm of public relations for brands and companies thinking about how they can use the web for ORM.